Garage Door Repair Texas City is a competent choice for business garage door service. Customer care is always our top priority. Our seasoned techs are qualified to provide attentive installation and repair options. Our rates are low, but the quality is always high. We carry and service the best brands in the business. 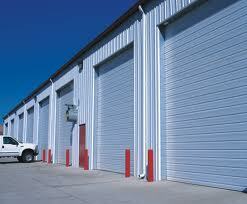 You depend on your commercial garage doors to open and close effectively. The failure of these doors to function properly can hurt your business. Call us to provide same day solutions to your garage door problems. We offer fast and affordable commercial garage door repair for the business community. Our experts use their on the job know-how to provide impeccable results. We are very mindful that time is money in the business world. The main objective is to get your system up and running again as fast as possible. A damaged door can create a health hazard. In addition, repair problems can affect business security. We address these issues quickly and correctly for your peace of mind. Do you have bad springs? We offer skillful commercial garage door springs service. Our techs have access to a wide range of spring sizes. We carry and service torsion and extension springs. Our crew is qualified to offer safe and efficient repair or replacement options. Let our pros do the job right for you. Many businesses turn to us for commercial garage door opener repair. Problems with these components include bad circuit boards and motors. Our friendly specialist will troubleshoot your unit and find the problem fast. We will successfully service the belt, screw, and chain driven motor. Our qualifications cover all opener brands. Contact us for service you can trust. You can also call us for commercial garage door installation. We will install brand new doors in no time at all. You can choose from one of our outstanding makes and models. Put our experience to work for you. Choose us for commercial garage door repair in Texas City, Texas.